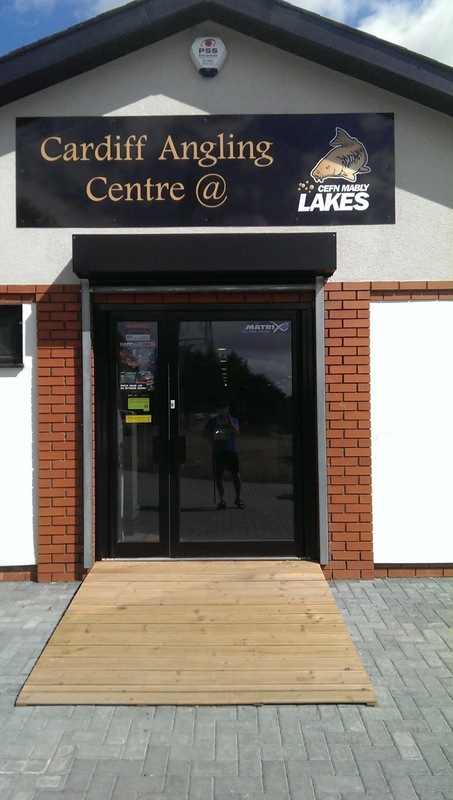 After being repeatedly told about the massive improvements in the shop at Cefn Mably Lakes, I thought it best to stop by before a recent fishing session on their horseshoe lake and have a look for myself. It has been several years since I’ve last visited this shop so had no idea what to expect. The outside, unlike almost every fishing store, doesn’t have huge windows displays, so first impressions would have to be made on entry. A lot of changes have been made since my last visit. 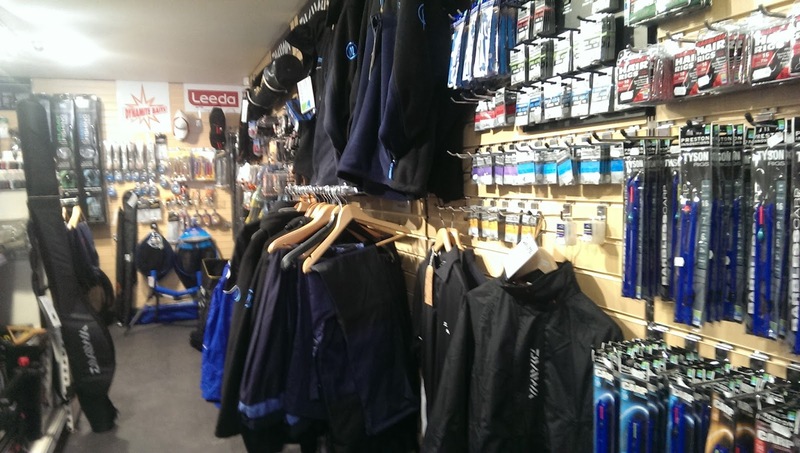 The store is now set out in a long rectangle catering solely to coarse and carp anglers. This is entirely fitting as you can only do this type of fishing at Cefn Mably Lakes. The right side of the store is purely coarse (match) fishing, and has everything you could require to fully kit yourself out. From pole seat boxes, reels, rods and all the things you would expect to find a match anglers box/holdall. 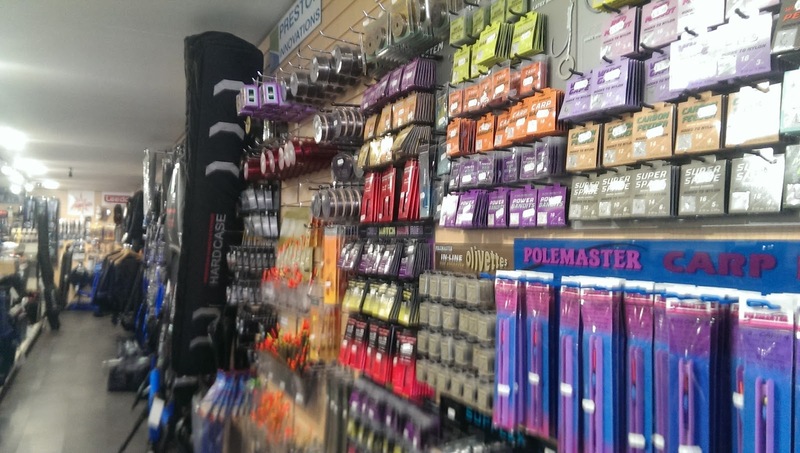 There was a huge selection of hooks, mono, braid, floats and rig bits. This coupled with and extensive pole fishing section meant it would be very easy to while away a few hours finding new bits for an already over following tackle box. There was also a small selection of Frenzee fishing equipment. This is one of the only places in South Wales that I have seen this product stocked, but they also have pretty much every other brand you can think of including Matrix (which unfortunately is another rarity in local stores). The left side of the store is set out for carp anglers with rods, pods and reels all out and set up for prospective purchasers to inspect. There is an equally large amount of carp terminal tackle, with lines/braid, hooks, bite alarms and readymade hair rigs (and everything in-between) all on show. The adjoining column between the Coarse and Carp fishing section is where the groundbait/pellets are situated. There was a fairly extensive collection of groundbaits (various brands) and pellets in many different sizes. There was also good selection of hook baits, including expander pellets, hook pellets, sweetcorn and meat. It was clear however that the bait on sale was pre-dominantly geared towards catching fish at this venue, with repeats of similar types of flavours and baits in different brands. With that in mind I needed some more feed pellets after my brother “borrowed” the last of mine, and decided on trying out some Sonubaits Krill flavoured micro pellets. I was very impressed to see a full size selection of Drennan Wide Gape Super Specialist hooks too. They also had the rest of the range of Drennan hooks, which is worth knowing if you are a stickler for good quality hooks (like me). Although there was a small range of Kamasan hooks, there were no B611 to be found (I’m starting to give up hope). On enquiring however the chap behind the till did inform me, if I was prepared to buy them in x100’s they would happily order them in. Good to know. I also asked what fresh bait was sold on the premises, as I wanted some maggots and casters to complete my bait arsenal. They had no casters available, but did sell maggots. Coming in at £1.70 for half a pint I thought it was a bit steep, but maggots aren’t essential when fishing this venue, so half a pint would be more than ample. I was very impressed by this tackle store and will definitely be returning, even if it’s just to have another good look around (not taking away from the fishery itself which was great). It had been a long time since I had visited Cefn Mably, but it won’t be long before I visit it again. With so much on offer and such a varying range it wouldn’t be hard to imagine the bank card taking a hammering after a prolonged visit to this shop. My only complaint would be the expense of it. Looking around almost everything seemed to be slightly more expensive than I have seen elsewhere. Then again, with almost every piece of coarse fishing tackle you can think of under the same roof you are paying for convenience.